Loa loa is a filarial nematode, which is also known as the West African eye worm. The infection is chronic and is either asymptomatic or with skin manifestations (transient pruritus, oedema). Loa loa is transmitted by African tabanid flies which live in the rain forest. The distribution of the disease is related to the distribution of the vector. Infective larvae leave the insect during a blood meal and develop subcutaneously to adult worms (3–7 cm long). These worms can be observed crossing the eye under the conjunctiva. About 1 year later, female worms start producing microfilariae (about 250 µm in length), which are found periodically (peak at noon) in the peripheral day blood. 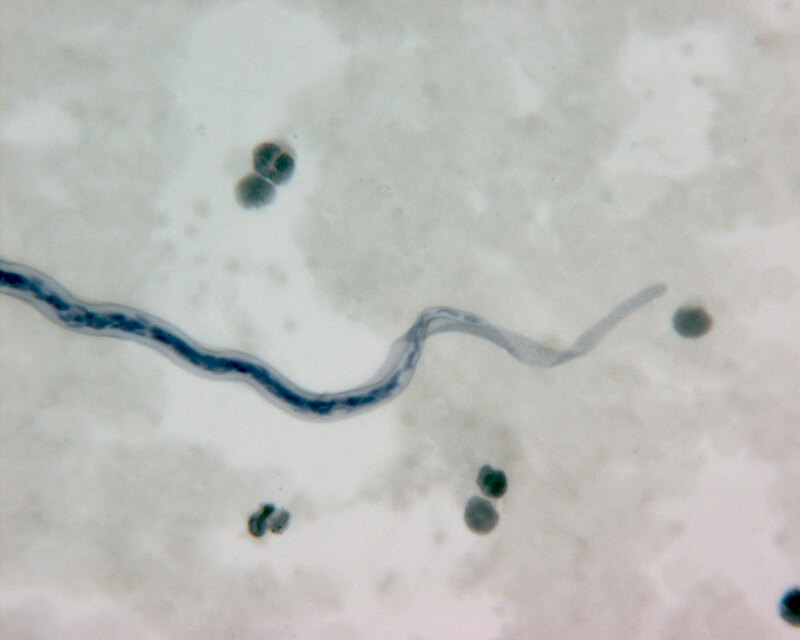 Immunity to microfilariae results in “occult loiasis” with no detectable microfilariae. Microfilariae are taken up by the vector with a blood meal. They penetrate the gut wall and develop in the fat body to third-stage larvae within 2 weeks.